Tim Teykl is a 1974 graduate of Needville High School where he lettered in football, basketball and track. He played running back and defensive end for Roland Conrad. He graduated from Texas A&M University in 1978 with his undergraduate degree, and he received his graduate degree from Southwest Texas State University in 1984. Coach Teykl began his coaching career in East Bernard under the direction of Hank Kotzur. He coached at Southwest Texas State University under Jim Wacker, winning 3 consecutive Lone Star Conference titles along with back to back NCAA Division II National Championships. He was an assistant at Texas Christian University earning a spot in the Bluebonnet Bowl against West Virginia in 1984. Coach Teykl was the Athletic Director/Head Football Coach at Rice Consolidated for two years prior to arriving in Rosenberg and becoming the Head Football Coach and campus athletic coordinator for the past 26 years at B.F. Terry High School. During that time the Terry Rangers have experienced unparalleled success recording a winning record for the past 15 consecutive seasons and appearing in both the Class 5A and 4A State Playoffs 16 times along with placing 111 student athletes on the THSCA Academic All-State Football Team. 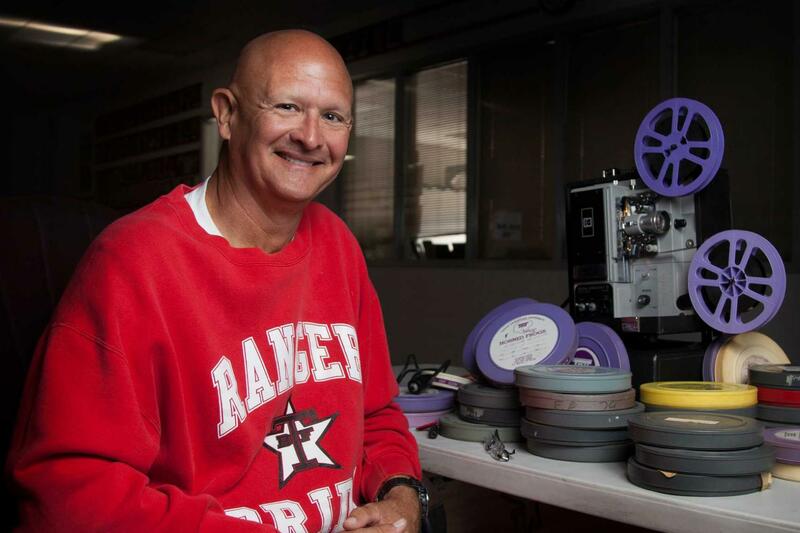 Coach Teykl has served as a Senior Director of the Texas High School Coaches Association and has been the President-Elect of that association. He has served as president of the State 7-on-7 Football Association and currently serves as a board member. In 2004-2005 he was President of the Greater Houston Football Coaches Association (GHFCA) and is an endowed member of the GHFCA Board of Directors. He was the Game Director in 2003 and 2004 for the Bayou Bowl, a high school all-star game between the Greater Houston area and Louisiana football players. In 2005, he was the Head Coach of Team Texas in the Bayou Bowl. He also is a Committee Member in the American Football Coaches Association (AFCA) and has served on the Houston Touchdown Club Player of the Year selection committee. He has been named District Coach of the Year several times along with being a finalist for both the Houston Texans and Houston Touchdown Club Coach of the Year. In February of 2007, Tim was inducted into the Greater Houston Football Coaches Association’s Ronnie Bell Hall of Honor. In May of 2007, Coach Teykl was named the Tom Landry Award recipient at the Texas High School Football Hall of Fame induction ceremony on the campus of Baylor University. Tim has been a been a finalist, twice, for the American Football Coaches Association’s prestigious Power of Influence Award along with being named the United States Marine Corps National Coach of the Year. He has also been named a U.S. Army All-American Football Coach along with having coached in the nationally televised U.S. Army All-American Bowl in the Alamodome in San Antonio. He also coached Team USA versus Team Canada twice in the USA-Canada World Football Games in AT&T Stadium. Tim and his wife Brenda (Registrar @ Terry) have been married 38 years, and their two children both graduated from B.F. Terry High School.